A little while ago, a parcel was sitting on my desk when I returned from my lunch-break. 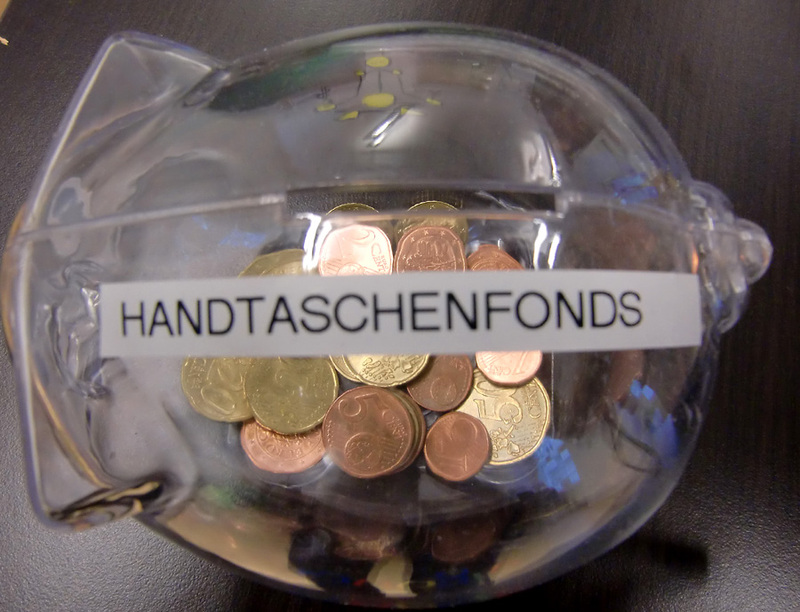 It contained one piggy bank for each employee of the Firm's Vienna branch - a gift from our friendly HR guys and girls. They came in different colours, but I liked the transparent one best. As you might have guessed by now, I've never been a big saver and thus piggy banks have not played a major role in my life. I wanted to use it, though, and so I decided to devote it to an important project...like a new handbag. 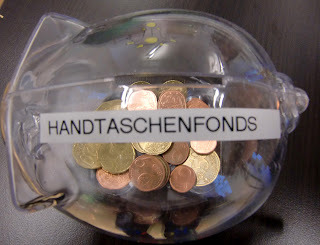 Not seriously, of course, but we have a little gadget around that produces adhesive strips of letters you can programme and so I printed out "Handtaschenfonds" (=handbag funds) for the Empress, who is not adverse to classy handbags either, and myself. What would you have written on my piggy bank?